The ISOMETER® isoMED427P monitors the insulation resistance of unearthed AC circuits (medical "IT systems"). At the same time, the load current and temperature of the IT system transformer is monitored. 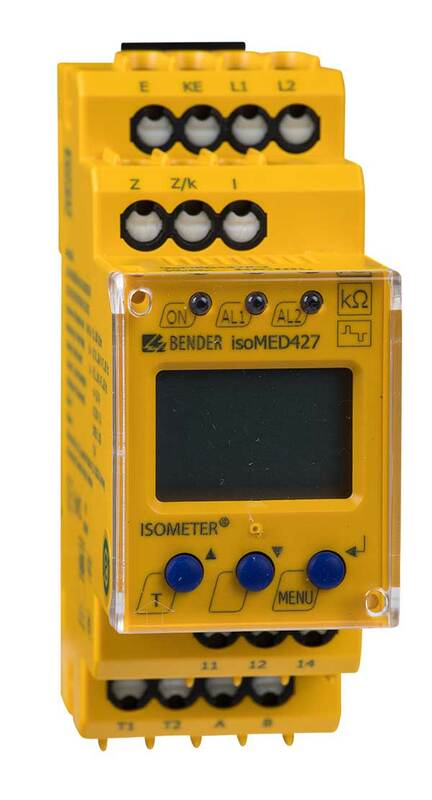 In combination with EDS series insulation fault locators and the appropriate measuring current transformers, the isoMED427P is designed to set up the respective equipment for insulation fault location.